Mindfulness meditation is the practice of bringing gentle, accepting attention to present moment thoughts, emotions, and body sensations. While the immediate goal is not to change or improve what’s happening, the practice of bringing friendly awareness to our internal experience can decrease stress and improve coping with challenges. While some forms of meditation are religious, mindfulness meditation can be practiced in both secular and religious contexts. 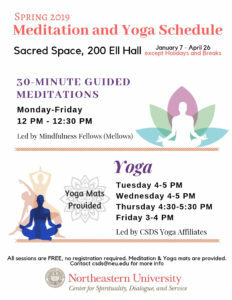 We offer several drop-in guided meditations weekly in the Sacred Space (200 Ell Hall), each 30-45 minutes long. Please join us! 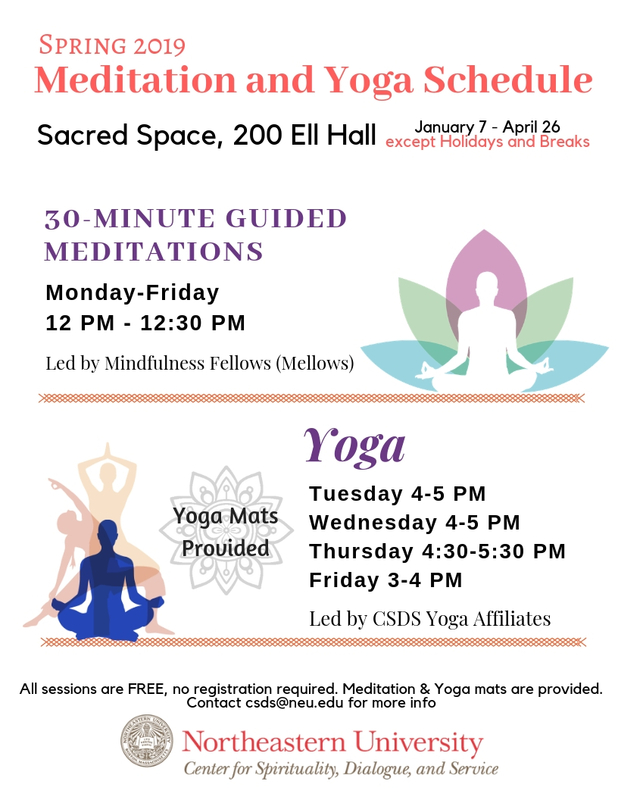 Audio meditations guided by former Northeastern Buddhist Spiritual Advisor and Mindfulness Programs Coordinator Harrison Blum, MDiv., MEd.